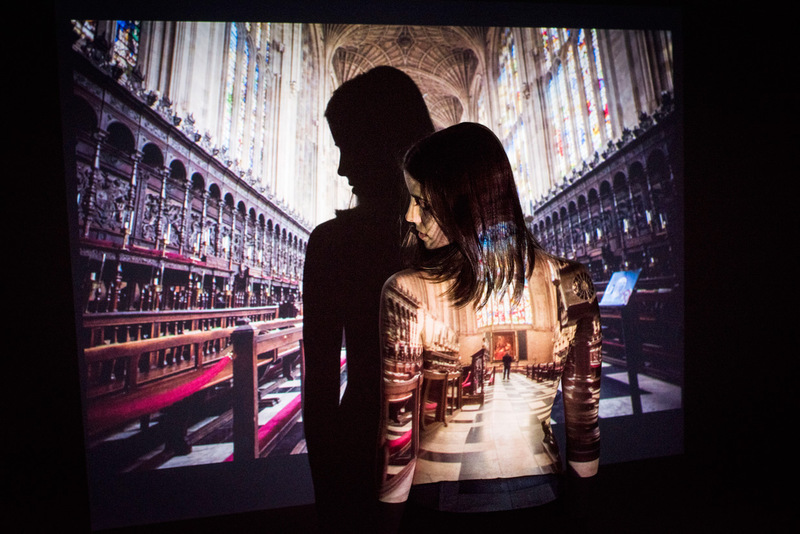 While I still have the projector at home I took the opportunity to do one more projection photo shoot, this time with my friend Christiana. This time I tried to use a few photos to see how that would look. 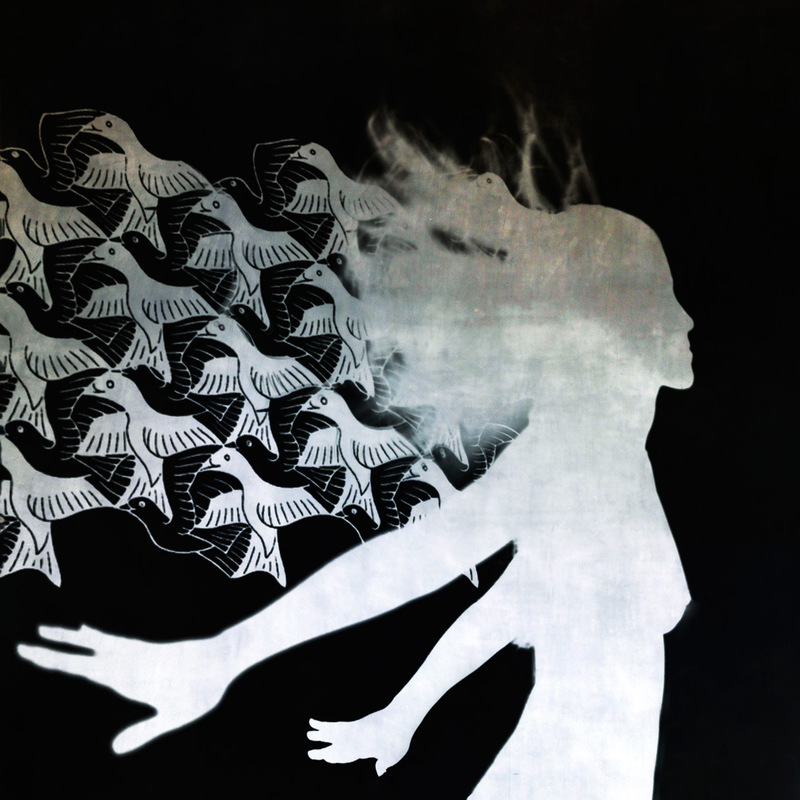 We also included a bird painting from Escher, and some old pages from Isaac Newton’s notebook. 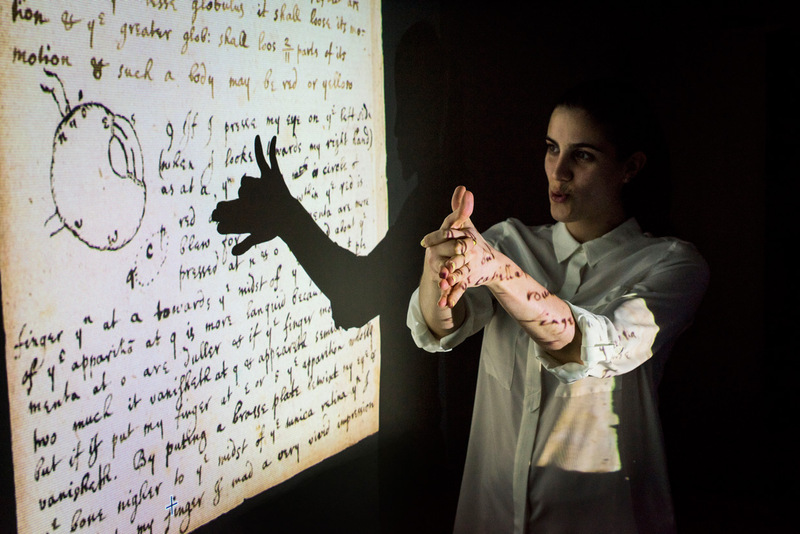 Shadow dogs, we played around a bit to see what we could do with Newton’s old notes. We then came up with the idea to project a photo of Christiana onto herself. This one is from the Varsity game in Oxford last year (blog post). More dynamic poses made for more interesting photos. Here is a picture from a volleyball tournament last summer (blog post). This is my favourite photo from the photo shoot. Christiana was flicking her hair up, and we wanted to get the illusion that the hair turned into birds. It was not easy getting it lined up and our ideas for poses got more sophisticated. In the end we did a composite shot of a static pose with the hair from one of the moving poses. The image is inverted to get a white shadow, and a bit of texture added on top. A quick glimpse from the photo shoot with Christiana. One thing I wanted to do was to modify the photos while they were projected, but it turned out that when moving the Photoshop window to the projector’s display the photo became blank. I suppose it has something to do with the rendering. Maybe there is a work around for that. 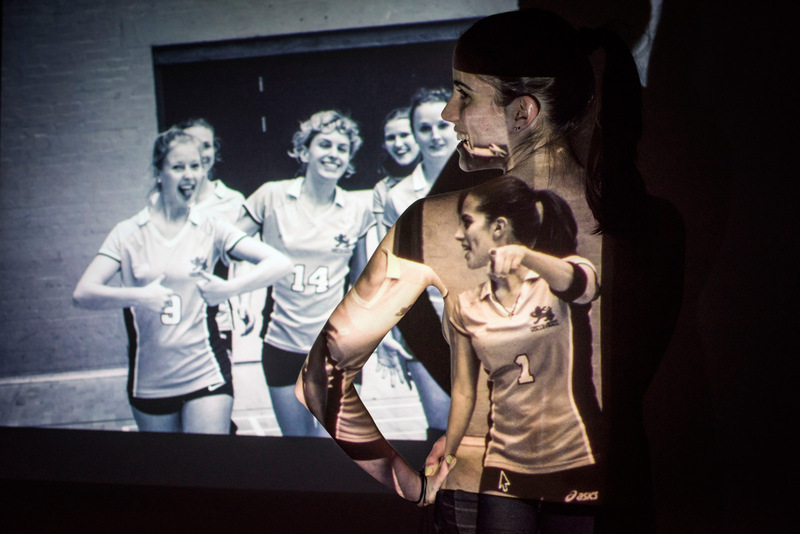 This was a fun photo shoot, and it was interesting to play with photos on the projections. Many thanks to Christiana!